A National Security Strategy is less a plan of action than an attempt to prioritize. Who, in the president’s judgment, most threatens America? What means do we have and what capabilities must we develop to defend the homeland and protect our freedoms? 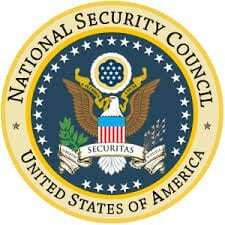 President Obama issued his last NSS in 2015. It struck me then as an odd document and, in retrospect, it seems odder still. Regarding the threat posed by North Korea’s nuclear and missile programs, it offered such boilerplate as: “Our commitment to the denuclearization of the Korean Peninsula is rooted in the profound risks posed by North Korean weapons development and proliferation.” In the end, of course, Mr. Obama did nothing as the threat metastasized. North Korea may now have as many as 60 nuclear weapons. The 2015 NSS also asserted: “We have made clear Iran must meet its international obligations and demonstrate its nuclear program is entirely peaceful.” Supreme Leader Ali Khamenei no doubt found that amusing. In my judgment, it’s a coherent, clear-eyed, and comprehensive document, one that falls well within the conservative tradition, recognizing the importance of maintaining an American-led liberal capitalist world order. Russia and China are “revisionist powers” that intend “to shape a world antithetical to U.S. values and interests.” And then there is the “long war” we have to fight against transnational jihadi groups and the criminal syndicates with whom they’ve been making common cause. A National Security Strategy, no matter how well thought-out, is only a blueprint. Policies and “priority actions” need to be implemented to be useful. “Peace through strength” doesn’t come cheap. Almost a year into Mr. Trump’s first term, the military remains under-resourced and too many key national security positions remain unfilled. Others are occupied by bureaucrats who have no intention of furthering this White House’s agenda. Perhaps most astonishingly, there remain many holdovers from the previous administration who are undermining policies they disfavor. All that and more should be dealt with early in the New Year. For now, it’s sufficient to get the new administration’s priorities and broad policy principles down on paper, to better understand the world according to President Trump and his national security advisors – a seasoned, pragmatic team led this year by H.R. McMaster, Nadia Schadlow and Dina Powell. Unlike President Obama who believed the arc of history bends toward justice, the current occupant of the White House believes history’s arc will be bent toward tyranny by America’s enemies – unless we grab it firmly and bend it ourselves. Clifford D. May is president of the Foundation for Defense of Democracies (FDD) and a columnist for the Washington Times.